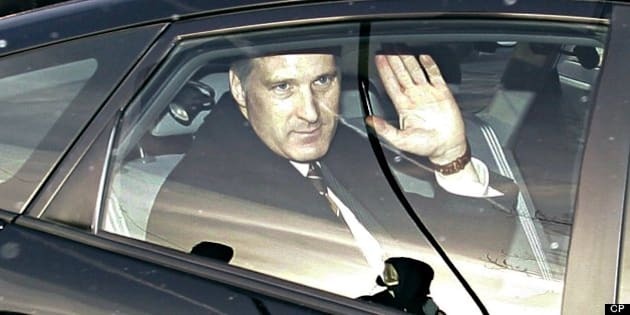 Federal cabinet minister Maxime Bernier was "completely unaware" his driver's licence had been suspended until he was stopped for a driving infraction on June 16, his office says. The minister of state for small business and tourism was driving his girlfriend's car in his riding in the Beauce region of Quebec that Sunday when he was pulled over by police. That's when the officer — and, apparently, the minister himself — discovered that his licence had been suspended for having an unpaid traffic fine in arrears. “Once this was brought to his attention, he immediately paid the ticket. His driver’s licence has since been reinstated,” the minister's spokesman Scott French told CBC News on Friday. French said the minister paid the outstanding fine the following day and got his licence back soon after. The story first surfaced in a French-language newspaper report last Friday. The minister's office said the information was "likely a leak" and that driving infractions like these would normally be private for other individuals. The minister's office declined to say exactly what kind of traffic ticket he had not paid, saying it was "not pertinent to specify" details beyond describing it as one offence under Quebec's Highway Safety Code. Police had pulled Bernier over to issue another ticket for another driving offence, which the minister's office also declined to identify. Before the House of Commons rose for the summer last week, Conservative MPs and ministers were outspoken in their condemnation of NDP MP Tyrone Benskin, who is behind on his taxes, as well as NDP Leader Tom Mulcair, who drove through a security checkpoint and stop signs on Parliament Hill without stopping for Hill security. "Taxpayers expect people to respect the law," Heritage Minister James Moore said during question period, when asked about a former Conservative candidate who was arrested last week in a sweep by Montreal's anti-corruption squad.